Referral Hospital for ESI, CGHS etc. The department had full strength of faculty as per IMC norms. All the faculty members are full time and some are residing in the campus itself. The biochemistry syllabus is as per the direction given by the Medical Council of India and Kerala University of Health Sciences. The department has a fully fledged laboratory for doing undergraduate Practicals and Research lab for doing special investigations. The department has facilities to train undergraduate, paramedical and nursing courses. A full fledged clinical biochemistry lab is functioning in the basement floor of the OPD Block which caters the needs of patients of both inpatients and outpatients .The art if diagnosis and cure of any diseases is a blessing of God. It is solely based in the true quality diagnosis .Dr.SMCSI Medical College and Hospital is provided with an excellent Clinical Biochemistry Laboratory equipped with state of art automated equipments, qualified and trained staff working 24×7 (ie) round the clock service .Apart from the usual routine investigations we offer hormonal assays. Our other special investigations include electrophoresis, various organ function tests, drug assays, tumor markers and screening tests for metabolic diseases. The Lab is affiliated to External Quality Control Programme of CMC Vellore. Our vision is to bring out the best results that feature the state of cure of disease. The commitment to excellence is the foundation of our reputation and core of our success. Dr. Somervell Memorial CSI Medical College (Dr SMCSI MCH) established in 2002, attached to the Dr. Somervell Memorial Mission Hospital is at Karakonam, a village, in the southern border of the Thiruvananthapuram District of the State of Kerala. 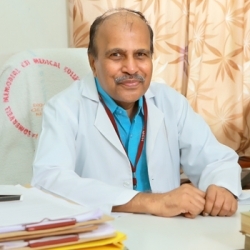 The Hospital, the Medical College and all other institutions attached are run by the South Kerala College of the Church of South India (SIUC) and managed by the South Kerala Medical Mission. 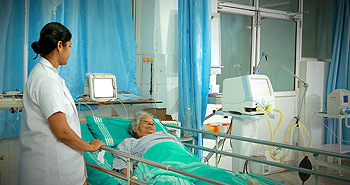 The South Kerala Medical Mission is a Charitable Society registered under the Travancore Cochin Literary. www.smcsimch.ac.in © Copyright 2019. All Rights Reserved.